Corporate events also come in different styles. Whether it be a multi-million dollar international gathering, or a small mom-and-pop holiday party. Sometimes these events are simply for pleasure, other times they are company exercises or serve a greater purpose as to reveal a new product. We here at Orlando DJ group have been helping companies succeed in these reasons and many more since our first event for E.A. Sports in 2008. Being centrally located so close to the Orange County Convention Center, one of the largest convention centers in the world, enables us to constantly further our craft due to the demand in this market. Not only can we DJ these events, we can work with you to create a custom and interactive show that will be like no other. From a “Karaoke Idol” team-building competition with props, to a game or trivia style challenge rewarding participants with prizes both large and small. Every year we have repeat clients that choose us from handling their holiday season, to booking us as they enter the Convention Center. Our equipment is top-notch, and our skills as entertainers are second to none. We also have experience working with reputable companies in the production industry here in Orlando. Some events require a larger company to produce such events involving massive sound systems, staging, lighting and video set ups. 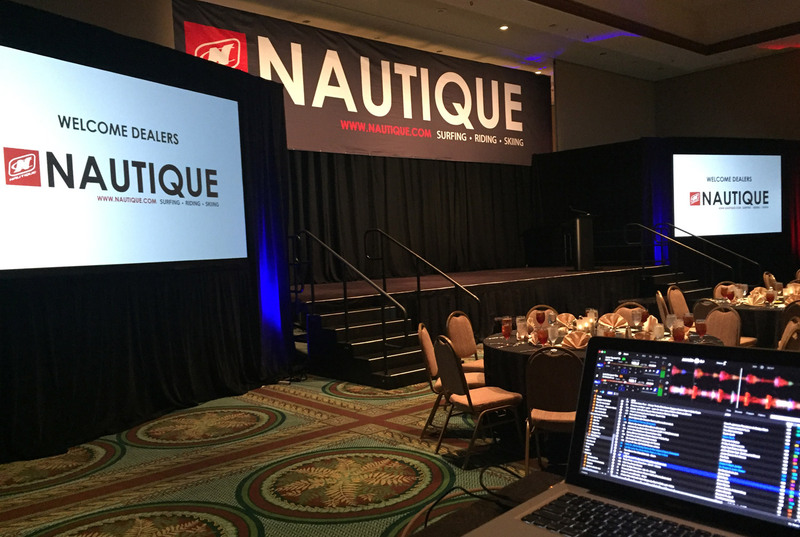 We not only DJ, but also rent speakers in Orlando, so accommodating a 1000 person event is no issue for us. Your entertainment company should know of said companies, and understand how to work along side them to complete your perfect event. Contact us today and see why some of these reputable clients continue to book our services on and annual and sometimes more frequent basis.